Step into the wilds of Southeast Alaska for an astonishing brown bear and wildlife viewing adventure. Your exploration begins with a floatplane flight transporting you on a breathtaking scenic flight from the base in Juneau, providing unique access to brown bear territory. Escorted by an expert local guide, you'll step off the plane and into an unforgettable adventure. 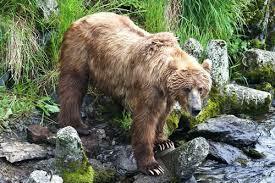 Your guide will share his/her knowledge of brown bears, and the wildlife and fascinating natural history of the area. Photographers and nature enthusiasts will marvel at this opportunity to discover the unexpected-a once-in-a-lifetime experience that allows a rare look into the world of one of the grand and majestic animals of the great Alaskan wilderness. Minimum age is 8 years due to tour duration and the patience required for viewing wildlife. Wildlife sightings are likely but are not guaranteed.